Contouring is a step that I never miss on my makeup routine. 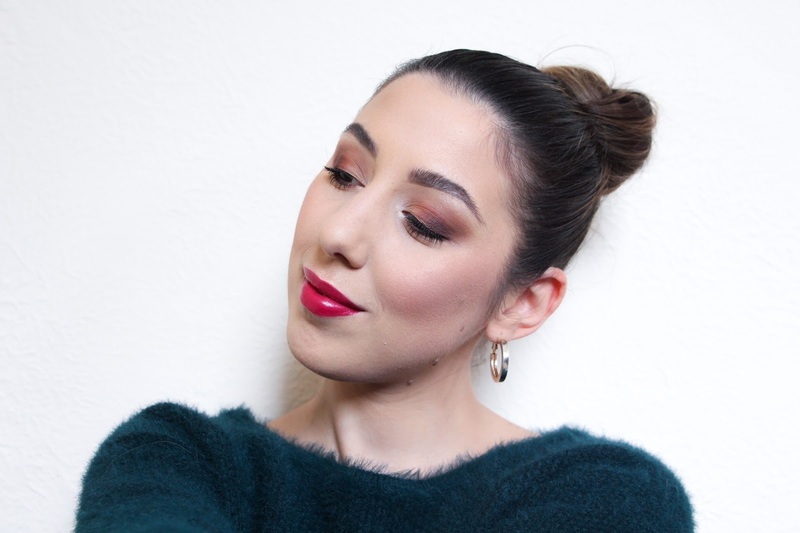 Either for a day time or night time makeup look, it is always there. At times it can be a bit more messy and not so intense but I can never dismiss this step. I feel like contouring just completely changes my face when I put some time, effort and a good product into it. 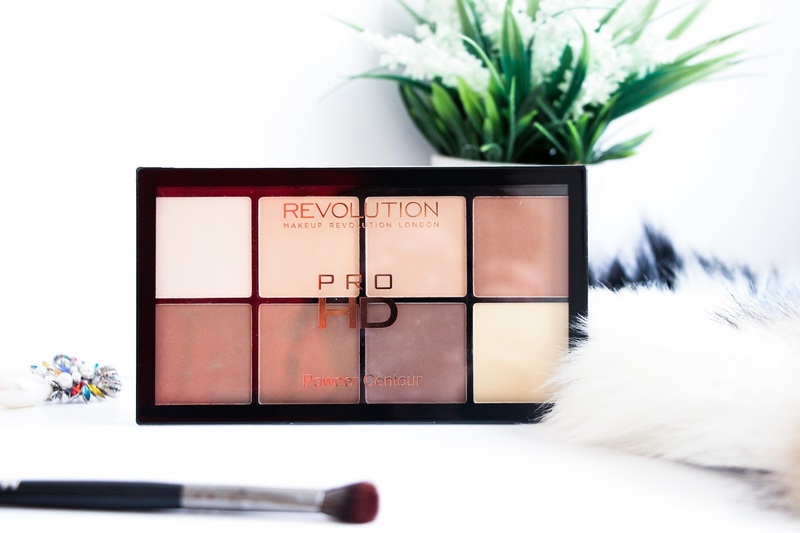 I have recently bought the Makeup Revolution Pro HD Powder Contour Palette in light-medium and it has been my go-to contour product since. At first, I have to say I was not in love with it. It was good but didn’t surprise me very much as I felt that it was just like any other contour product that I have but after trying it again and actually having my friend saying “What have you done with your face? Something is different. You face looks amazing!” and realizing that this had been the only different product I had used, I was addicted to it and never looked back. 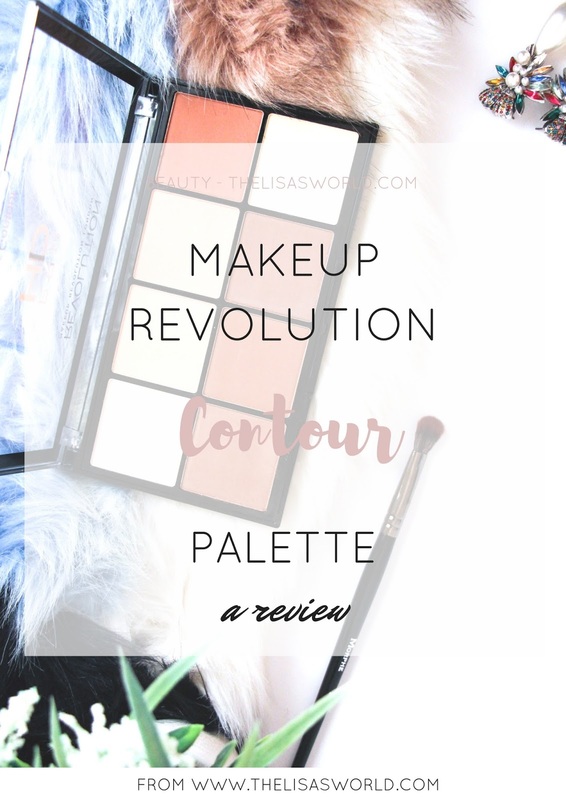 Makeup Revolution is well know for its variety of products with great quality (a crazy amount of them are amazing dupes for some high end makeup items) and quite affordable prices. We never had much in stock in my local Superdrug but over the past few months they have extended their stock on the Makeup Revolution items and it is incredible the variety of this brand. When I saw this palette, I couldn’t go home without it as it looked so promising. They also have this version in cream but there was none in stock so I am still looking forward to try that one! The packaging is the normal, very light weight, black and clear kind of packaging. Nothing over the top but quite practical for travel too as it is so light. I like the clear case and the fact that has no mirror as I normally don’t even use them and it would also make this palette a bit more expensive. It is very practical and quite sleek. This palette comes with a total of eight shades, all matte, being four of them highlight and the other four contour. You might notice that one of the contour shades is quite warm so I tend to skip that one unless I want to use it as bronzer. The highlighting shades are all matte, perfect to use as an under eye brightening powder. I have to say that I would love for it to have a shimmery highlighter but I just guess that that wasn’t the purpose of this palette as they have a Ultra Pro Glow Palette (it will be indeed my next purchase!). They only have this is fair or light-medium shades which I don’t think is enough. They should have this for darker skin tones as well. I have used at least five of the eight shades on this palette and I was quite impressed with the pigmentation. I wasn’t very careful the first time I tried it and I kept dipping my brush as I was contouring around my face to then realize I looked muddy so be gentle with it! Go very light handed and slowly build it up if needed as you can end up with a quite patchy contouring that won’t look good. Other than that, this palette has a great variety of shades that would suit any light to medium skin tone. All of them blend easily and I haven’t noticed any flashback when using the highlighting shades. They actually brighten my under eye area quite well, distracting from any dark circles that might be going on. I think this is a very good palette for a very affordable price, definitely worth giving it a try!